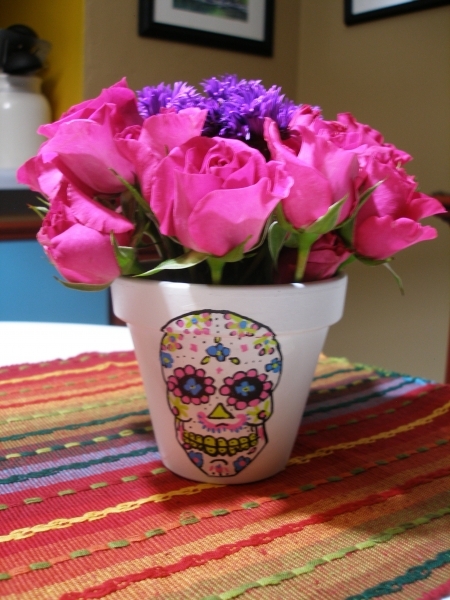 For celebrating the Day of the Dead. 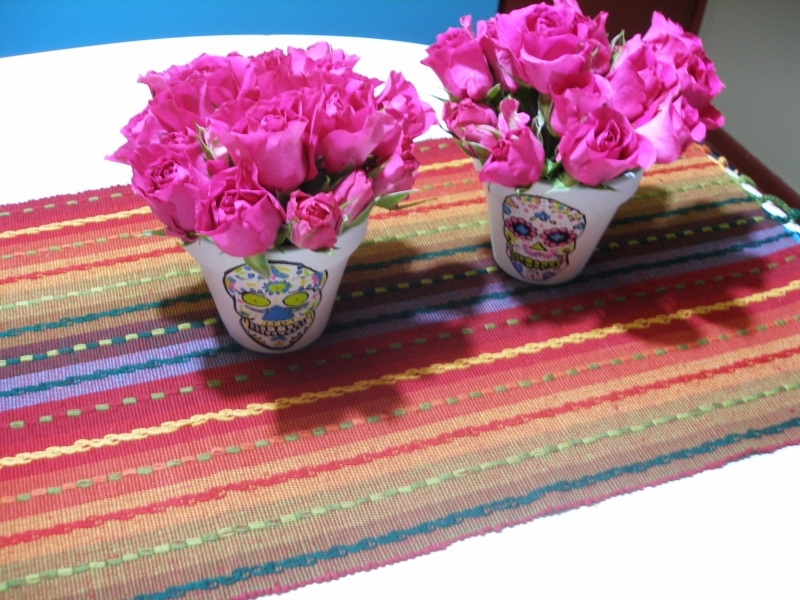 These are exclusive to Easily Arranged. 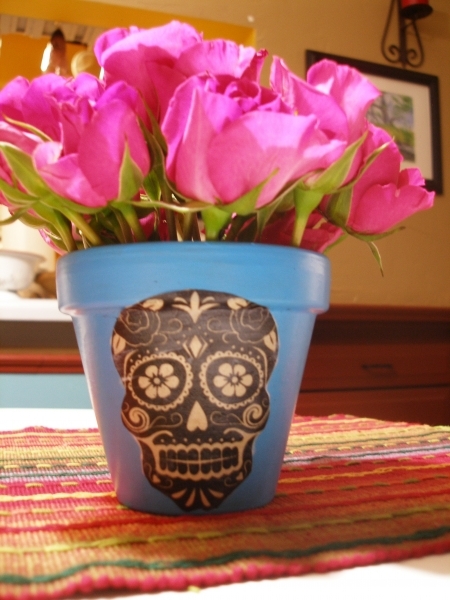 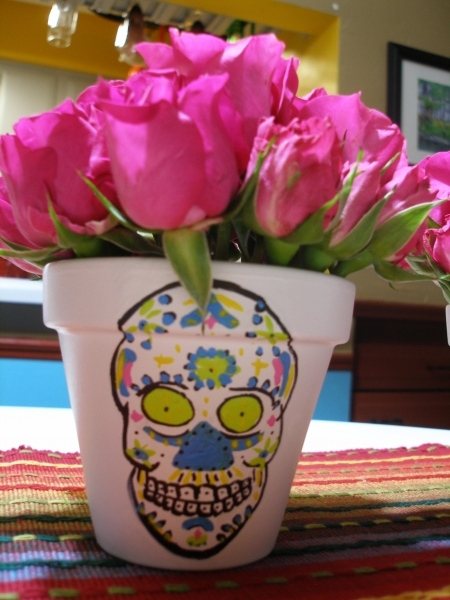 Hand painted and decopauged flower pots with various flowers or cacti.